RNC Chair: Donald Trump's frustrations with RNC will "blow over"
Reince Priebus, the chairman of the Republican National Committee (RNC), is predicting that Donald Trump's problems with GOP primary rules will eventually fade away. "This is going to blow over. I believe this is some frustration that has bubbled up," the chairman told CNN in an interview Wednesday. Trump, after encountering some delegate trouble in various states where rival Ted Cruz has lobbied hard for support, slammed the RNC primary system earlier this week. "We have a rigged system," Trump told supporters at a rally in Albany, New York Monday. "People aren't gonna take it anymore. We're not gonna take it anymore. It's a corrupt system. It's a totally corrupt, rigged system." On Wednesday, Priebus explained that "given the year we have, you know, I honestly don't take it all that personally but I do have to respond though when a campaign says that the RNC is, you know, 'rigging' the rules." He added: "That's just not the case." 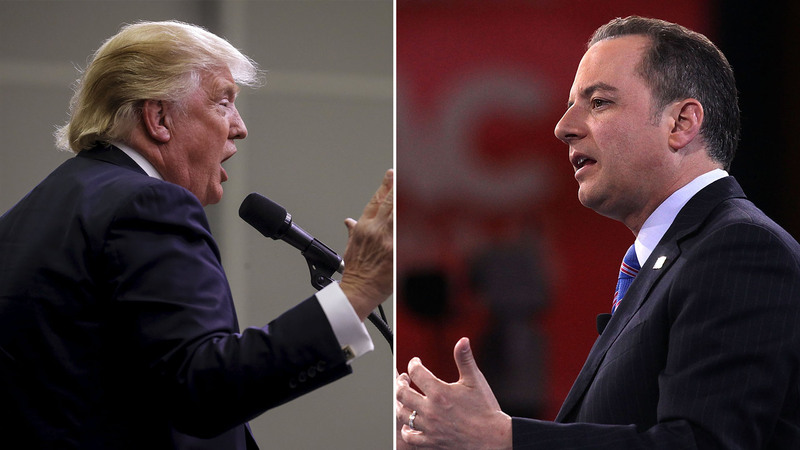 "Look, all the candidates have the rules of the game," Priebus continued. "And they have actually all been participating in the rules, so in the case of Colorado, all of the candidates were participating." He pointed out that the RNC also "doesn't subscribe for the states what states individually want to do with how they allocate their delegates." The decisions, Priebus noted, are ones "that each of the states make" and they "are not being changed." Despite Priebus' reassurances that the system is not stacked against him, Trump's anger at the party doesn't seem to be fading any time soon. Biggest story in politics is now happening in the great State of Colorado where over one million people have been precluded from voting! Big protest march in Colorado on Friday afternoon! Don't let the bosses take your vote! In a CBS News poll released Thursday, 63 percent of Trump's supporters nationwide say that if he earns more delegates than the other candidates but does not become the party nominee, then he should run as an independent or third party candidate.